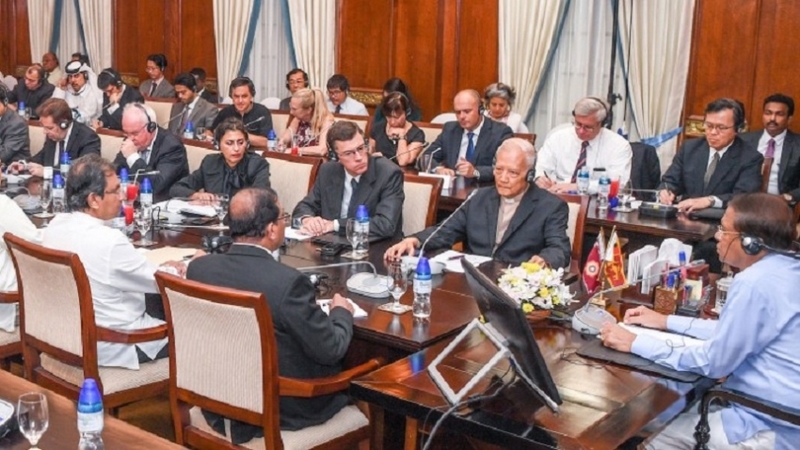 Following is the full text of the Economic Policy Statement made by Sri Lankan Prime Minister Ranil Wickremasinghe in Parliament on November 5, 2015. On the 08th of January, the people of Sri Lanka elected Maithripala Sirisena as the President in pursuit of much needed change. This was confirmed at the Parliamentary Election held in August. Our final goal is to improve and enhance the living standards of the people; it is the goal for which we have obtained the approval of the people at the election. 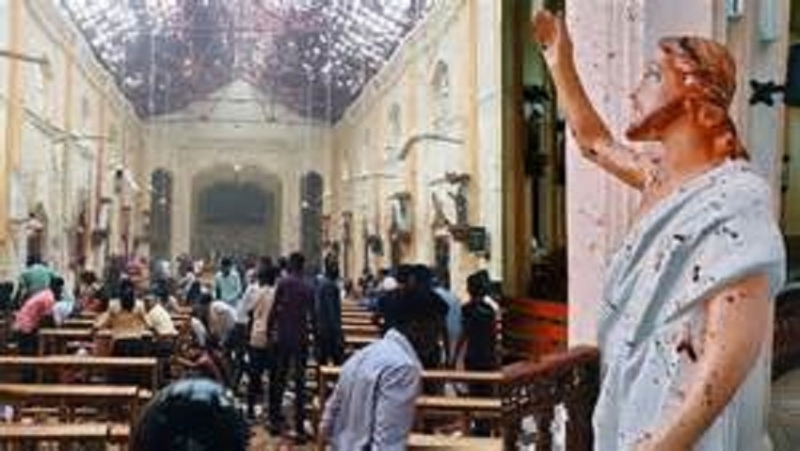 When we came to power on the 08th of January, Sri Lanka was caught in a tremendous and dangerous international quagmire. This was as a result of a lack of foresight by the previous Government. 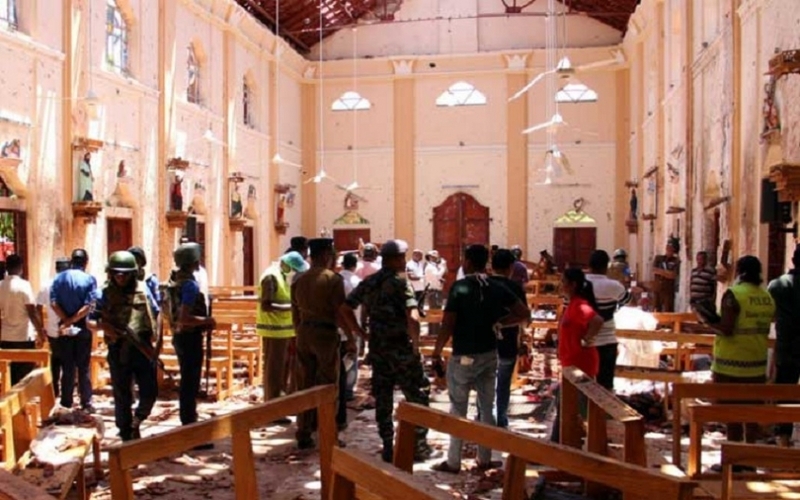 At Sri Lanka’s request, the recommendations made in the UN Human Rights Council had not been implemented and the danger of sanctions was looming over us. But that has changed – as a result of our efforts and a sincere exercise, we have been able to come out of that. The entire market of the world is now open to us. And so, now we have the opportunity to present to this august chamber our vision and our economic strategy for development. Our standing in the world is now secured, sustainable and strong. Based on that, we believe we can build a strong economy for Sri Lanka. To take us on that journey, to enable us to climb to those heights, I believe the right political climate has now been created in the country. The two main political parties in the country have come together to form a National Government of Consensus. The main objective in forming a National Government is to provide a common platform to deliver long term social economic solutions that can solve the key problems of the country. This would be towards achieving stability and embark on a speedy journey of progress. We may not get another opportunity such as this. We plan to put in place mechanisms that will seek not only to strengthen the economic sphere but also many other sectors such as the political, social, education and health. Within the next two years, we plan to consolidate our plans and take the journey forward. People are concerned about their level of living. Can they enhance their income? Can they give a better education for their children? Can the children find suitable employment following education? Up to now, as a nation, we have failed to provide answers to those questions. We have been unsuccessful. Hiding behind slogans and making excuses for the shortcomings will only conceal the actual facts further. But it cannot be sustained in that manner. People are tired of what they have gone through – they seek genuine, real time change. That’s why they elected us to power – to make that anticipated change a reality. They believe that we can make changes for the better and through social economic modifications, we can make their lives better. They believe we can make Sri Lanka the most open and competitive economy in South Asia. When looking back at our history, we can be proud of the open market economy practiced during the time of Manawamma to the period of prosperity under Maha Parakramabahu. We traded in spices, precious stones, elephants and rice with the world. We were considered a key import and export hub. We believe that with the planned economic remedies, we will be able to bring back such an era of prosperity for the nation once again. In order to be able to do so, we must be able to get the economic foundation right. Multi disciplined economic strength; local competitiveness, international trade and investments must be in our sights. A knowledge based Social Market Economy built on social justice principles must be fostered. The key areas to build this economy are the availability of global opportunities for education, strengthening of the health system to face health concerns of the 21st century and the ability to ensure mobility successfully. Accordingly, I believe that is our collective responsibility to make the best use of the opportunity we have been given. In such a setting, we plan to pay attention in the medium term to a few important areas of concern. 1. Generating of one million job opportunities. In enabling us to achieve these targets, we need to be conscious of the current state of the global economy. When we became a nation in the lower middle-income bracket, we lose the right to claim financial aid and benefits. Accordingly, we cannot spend more than we earn, anymore. In the backdrop where interest rates have gone up in the U.S Federal Reserve and economic uncertainties have emerged in China, we are not likely to witness a favourable global economic climate. We will have to rely on strengthening the local economic growth and stability within the near future, given the global economic realities of slow growth. The current, unusual disparity between an unexpected low augmentation and a deficiency in the balance of payments must be taken into consideration. The current framework of policies is not export focused. Due to the taxes imposed, we have been on a road to a closed economy reminiscent of the 1970s. The exports have been going down. In 2000, the exports stood at 30% of the Gross Domestic Product. By 2014, it has gone down to 15%, indicating a reduction of 50% percent, which is considered very low. We occupy a lower rung in meeting specialized exports needs of the world and technology based exports. Our contribution to the global market of exports is very low. We must address these issues and adapt a competitive foreign exchange policy that will encourage and empower exports. We need to make fundamental changes to our journey forward. We must make changes that are unique to us yet in keeping with the global economic direction. We cannot get there with antiquated thinking – nor can we get there by providing plasters over issues, burdening the country with more loans. This is the last opportunity we will get to make this journey. Seventy years ago, we provided aid to the United Kingdom during the Second World War. The former President of Singapore, Lee Kwan Yew who visited us during the Fifties is on record to say that he envisioned Singapore to become like us at the time. Back then, Singaporeans came to us in search of employment. Today, we go in pursuit of employment to Singapore and Malaysia. Today, we are in debt to the whole world. Singapore celebrates 50 years of independence this year. They were able to celebrate their golden jubilee of independence as a regional economic power. Singapore has no natural resources, not even water yet was able to achieve the highest echelons of success while we, blessed with many natural resources and human capital, went down. Where did we go wrong? Let us learn the lessons from the past. We will celebrate 75 years of independence in the year 2023. If we walk the right path, we have the potential to become one of the strongest economies of Asia. So let us seize the opportunity – let us rise higher towards our goal. We will need to address several mid term challenges in achieving this vision. I would like to point out a few key issues in this regard, to this august chamber. In 2003, 19% of the GDP was raised from income but in 2014, this has gone down to 10%. This shows that government revenue was completely neglected while family friends, relatives and other cronies have been given generous tax concessions, resulting in greater damage to the financial status of the country. Heavy taxes were placed on food and other necessities, which placed an immense burden on people in low-income categories. The friends and relations of the previous Government avoided paying all taxes. The boast of the previous Government about the increase in individual income levels was simply not true – the statistics are alarming. The income of 43% of all Sri Lankans is around 2 US$ per day. These reveal a serious imbalance in income levels. Accordingly, it assures us that income disparities exist in Sri Lanka at many levels – social, geographical, population based, gender based etc. Although the conflict with the LTTE in the north has been over for five years, the produce from the northern province makes up only around 4% of the GDP. This shows that despite a lot of noise the previous Government made on reawakening the areas affected by war, nothing has been accomplished in reality. 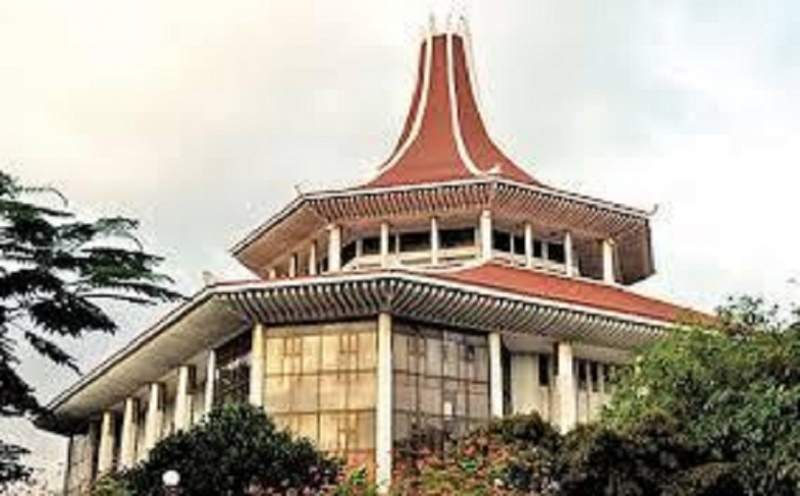 Despite assurance given otherwise by the former President and government officers at the time, there exists a considerable disparity between the economic development of Colombo and areas close to it and the rest of the country. I would like to draw your attention specifically to areas such as Uva, North Central Province, North and the East. Under this foundation, from January 08th onwards, we have been able to lift people of this country up from the economic woes they had been placed in, under our 100 days programme. We were able to give the people many incentives. We increased the salaries of government servants. We gave incentives to pensioners. We brought down the prices of petrol, diesel and gas. Increased the Mahapola scholarship amounts while Samurdhi allowances were increased by over 200%. We were able to cancel farmer debts and ensure the nutritional packs were given. We reduced the marriage registration charges and assured farmers a specified price for paddy. We provided 15% interest for senior citizens in fixed deposits. We provided special allowances for Montessori teachers and daham pasal teachers. As a result of these changes, people have more money in their hands – their buying power has increased. There is an increase in financial activity. Now what we need to do is to move forward and set the stage for a sustainable development journey. We plan to take several measures towards achieving our development goals. Through mid term merging of all state financial sources, we plan to reduce the budget deficiency from 3.5% of the GDP. We hope to achieve this by 2020. The Finance Ministry will focus on increasing state income and planning and management of all recurrent and capital expenditure. We will strive to make a genuine effort in reducing the burden of loans while sustaining financial stability. We will give priority to enabling an increase in earnings. Through a policy of minimizing regressive taxes, , increase the ratio of direct and indirect income tax generation in the medium term from 80%: 20% to 60%: 40%, strengthening the tax management processes while removing tax holidays and benefits. The removal and reduction of all tax concessions against a backdrop of now non-existent threat of war, low interest rates, a policy of ensuring realistic foreign exchange rates and against a setting of reduced petrol, diesel and energy charges, minimize tax concessions and tax free benefits. Removal of the once –and- for -all taxation process, which paved way for greater debate. Removal of taxation that is based on past earnings, considered an impediment for business growth. To provide tax free concessions for all earning outside Sri Lanka for Sri Lankans and only ensure taxes are for income earned within the country. Enhance the allocations made for education and health, while taking into consideration the priorities for the state and placing all common expenditure under closer scrutiny. Initiation of a medium term, common investment forum that will be strictly based on addressing the Government’s priorities and not the whims and fancies of contractors and funding agencies. Establishing of a methodology that can successfully evaluate projects while paying adequate attention to state-private partnerships. Ensuring that a regional balance is maintained while addressing development mechanisms. Prior to the economic transformation, the population consensus has been achieved in Sri Lanka. Future economic potential does not rely on labour alone. What is relevant for the development process is innovation and productive growth. In addition to such challenges, we are forced to face welfare and health measures of an aging population in Sri Lanka. We cannot sustain the belief that the Government must provide all services and solutions. Accordingly, we must be able to pay attention to the spirit of competitiveness and enhancing productivity, while providing a systematic network that affords a strong sense of social protection. Taking all of this into consideration, it must be stated that for the sake of future generations and in pursuit of reality, we must have the strength to take the right decisions. Now these may not be popular and may offer a bitter pill to swallow. But we need to take bitter medicine to cure our sick systems and ourselves. We complete 40 years since President J R Jayawardena introduced first generation economic and social reforms. Since the days of the Second World War, we have lived with a false notion that the Government must somehow intervene in the economic process. This has resulted in many drawbacks, as we all know. The Government took over many private enterprises at the time. Heavy taxes were imposed on the private sector that negatively affected imports and exports. 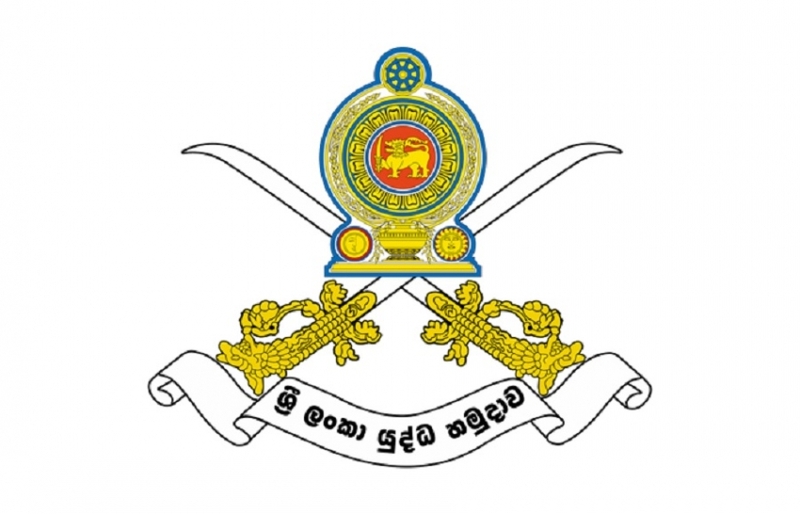 President J R Jayawardena changed this process in 1977. All political parties today have accepted the changes that have taken place as a result of the economic changes that were made in 1977. The historic challenge in empowering the nation’s economic process and guiding it towards a forward thinking and a successful direction has been placed on the UNP leadership. 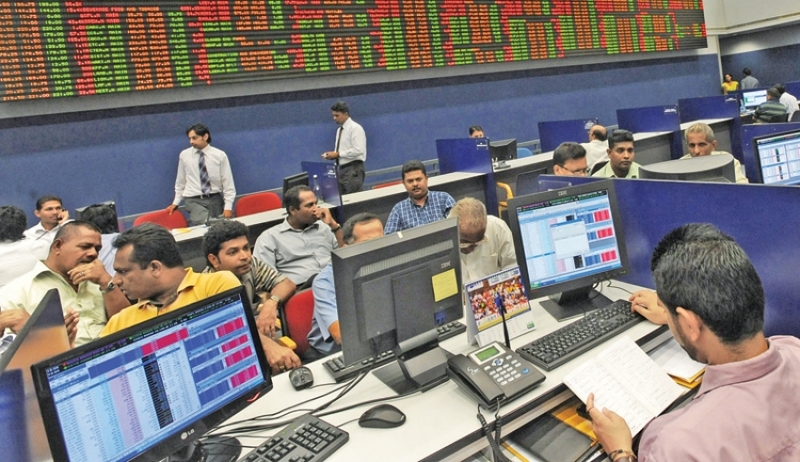 The second generation economic reforms took place under the aegis of President Premadasa. The investment climate and the stock market were dynamic and free to grow in leaps and bounds. State enterprises that were considered not relevant to be managed by the Government were given to the public. The initial growth and expansion of the garment sector, which forms a key economic area today, took place at the time. What has happened today? Once recognized as the most open economy of South Asia, we have today been given the infamous title as the most corrupt economy of Asia. 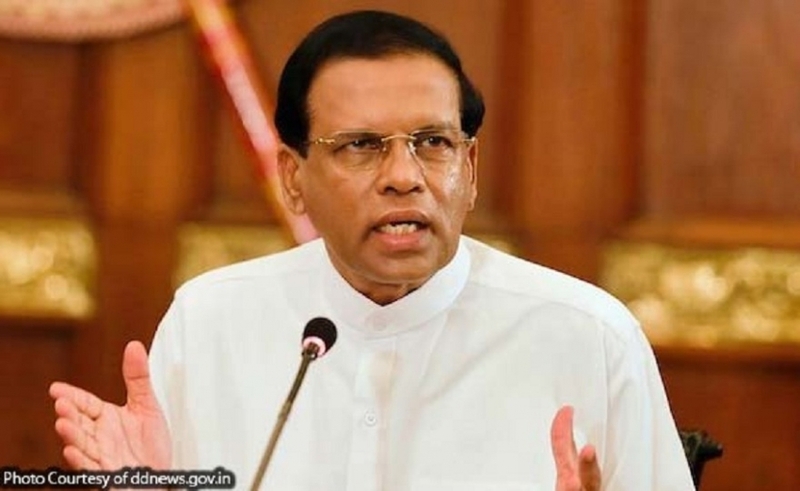 This is why we need to address the challenges that have been placed before us under the guidance of President Sirisena – the biggest challenge of all is to lift ourselves up from the economic abyss the Rajapakse administration placed the country in through procedures that were based erratic economic processes and irregular practices. We must be able to steer the country in the right direction with the third generation economic reforms that would herald in a new era. Through the reconstruction process , we believe we can help uplift the people’s income levels, while creating one million jobs. For this purpose, we will need to enter a market bigger than the local one. We have to find space for ourselves in the world market. These reconstruction mechanisms will empower Sri Lankans to deliver globally competitive products and services to the international markets. Under the new measures we will introduce, investments will be encouraged – we will focus more on foreign direct investment. We will strive to collectively to reach the highest possible benchmark in the grading of business organizations. We will empower 3 millions citizens to become land and house owners. As per the land development ordinance of 1835, people were given land under a permit system. Then came the system of being given land under projects such as the Swarnabhoomi scheme. Further, state funded housing schemes have been given over to the people from time to time. However, the people have not been given ownership of such land. Accordingly, we will allow those who have lived on land given on such permits for over a decade, to possess ownership of such land. For those who have been living on state owned rented houses for over ten years, we will provide them with the ownership of such houses. We will also provide a small land and a house for the estate workers who have been living in line rooms for over ten years. We will present the relevant framework for this purpose to this august chamber. The previous Government had neglected the most vital aspects of social development. The hard working government employees, factory workers, office workers and estate workers have not seen any growth in adequate housing being provided for them. Except for a few housing projects put up for low-income categories that have been evicted from the slums of Colombo, there have been no housing schemes built for the middle class. There were only semi-luxury housing schemes and houses put up during the time. We will get rid of these shortcomings. We will give priority for the construction of housing schemes for the middle class in urban and semi-urban areas. For those who will come forward to fund these ventures, we will provide state land and tax concessions. We will also introduce a low interest based loan scheme to enable the middle class and the government workers who can purchase these housing schemes. The Finance Minister will give details of these measures in his Budget Speech. These housing projects will not be built in isolation but will be based on a sustained plan that will see neighbourhoods created with hospitals, schools and shopping complexes, among other common amenities. We will also initiate several rural housing projects. We will set the background for the construction of 500,000 new houses that will completely solve the housing needs in rural, semi-urban and urban areas within the next five years. Not only land and housing ownership but also we will give citizens business ownership. Although there maybe several state entrepreneurial ventures that claim to be under the ownership of the people, the people do not enjoy any benefits or profits of such ventures. In reality, the losses accrued by such ventures have been burdened on the people. In Singapore, state owned enterprises run as businesses have provided 16% of the combined value of such businesses as state income during the last 30 years. What is happening here is the opposite of that. We all agree that state enterprises must be more efficiently run. This can be achieved by ensuring that good economic management is practiced and efficient managers are put in place. Most of these ventures are loss making due to various reasons. Those managing these ventures and politicians are benefitting while pretending that they are under public ownership. We will take steps to change this. Every public venture should follow proper financial guidelines and they should be uplifted as entrepreneurial economic successes. Towards achieving such results, we will establish a State Holding Corporation Limited, an organization that will provide state entrepreneurship, built along the lines of the famous Temasek Company of Singapore, which successfully manages state enterprises. All state owned entrepreneurial enterprises would be under this institution. It will have the capability and the ability to take decisions based on sound financial principles and market economies, as in the private sector. We will create a Public Wealth Trust through which the shares in these enterprises will be passed on to the people. The Secretary of the Treasury and the Governor of the Central Bank will be the custodians of this Trust. The Constitutional Council will name other members of the managing board from the ranks of civil society, unions and chambers of commerce. This board will manage the Trust and will be answerable to the Parliament. A process of transparency will be followed in naming directors to the board of this Trust. A Public Enterprise Act will provide the legal framework needed for this. We will take steps to sell the shares of state ventures such as hotels and Lanka Hospitals, which do not match the core competencies of state owner enterprises. We will create a Special Purpose Vehicle for the purposes of attending to infrastructural development initiatives. We will take meaningful steps to incorporate private sector style efficiency measures that will ensure the state entrepreneurial ventures are run efficiently and will encourage local and global investors to participate. Towards this, we aim to engage in the restructuring of the Board of Investment, Export Development Board and the Tourism Authority – we hope to have this structure in place within the next 03 years. During this time, we will establish an Agency for Development, which will ensure that each organization is optimizing its activities. This Agency will bear the responsibilities of managing all economic activity and will be manned by professionals from the state and the private sector. We feel the lack of an international trade policy framework tremendously. Accordingly, we plan to initiate an International Trade Agency that will handle all aspects of international trade. We will take measures to secure the funds in the EPF and ETF. Both these funds will be amalgamated to create a new national pension fund that will have a combined worth of Rs. 1.7 trillion. We will not leave room for politicians and officials to waste resources of this new pension fund as they did with the EPF/ETF funds. The Constitutional Council will appoint the board of trustees for the pension fund and a committee consisting of members of the civil society, unions and chambers of commerce will supervise it. Accordingly, the changes in governments, ministers, political parties and officials will not affect these measures. The funds belonging to the people will not be squandered away. The only objective followed will be to provide incentives for the people. In order to ensure a minimum wage for the working population, we will establish a Employment Council that will be managed by members from the civil society, unions and chambers of commerce. We will take steps to re-evaluate the antiquated pension system. We will take steps to introduce a new national pension plan that will take the workers and their retirement needs into account. We will make structural changes in the Central Bank, enabling them to engage in their work in a more independent manner. The tasks of managing exchange processes and managing the ETF will be taken out of their purview. We will enforce a strict regulation in place for all state purchases. For the purposes of procurement and awarding of tenders and handling all purchases over and above the specific value assured, a central procurement secretariat will be established. There will be no room for unsolicited proposals being awarded government contracts without adhering to accepted tender processes. We will also establish a committee that will educate companies and contractors on the methodologies to be followed in applying for state tenders. Yet another challenge faced by us is the catastrophe facing the rural economy. The opportunities that existed for rural families and communities to make a successful living have been destroyed. Large and medium scale ventures that enriched the rural economy have been deactivated. We must urgently address this issue and take meaningful steps to develop the rural economy and attend to the problems faced by farmers by uplifting the rural economy within a short-term development framework. We plan to establish 2500 state rural development centres. This will be achieved through the grouping of many villages under one development centre. The centres will have access to fully equipped rural economic market units. We will also strengthen and build the rural infrastructural facilities from the village roads, village tanks and the village fair , incorporating greater progress for rural economies through a Village Level Development Programme. There will be funds set aside for this purpose from the budget. Large-scale agricultural enterprises in which farmers can be members will be established under the plan to develop the rural economy. We plan to take such ventures in other countries as examples and encourage such ventures locally. They will be given concessions and land towards harnessing and developing farmer based agricultural initiatives. Through this, we can initiate a competitive agricultural market and review export of agro products. We will establish a fully fledged agro marketing authority that will purchase all agricultural produce. 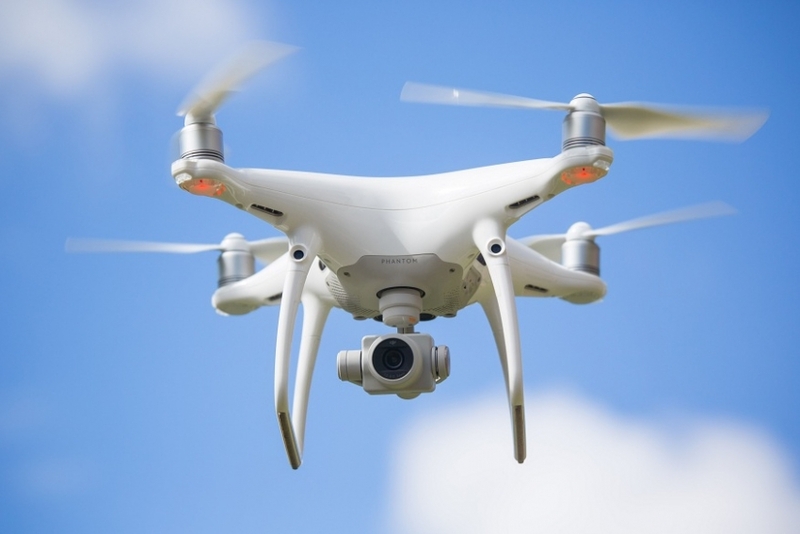 It will handle all matters relating to marketing, storage, sourcing markets, improving transport, purchasing of produce at a village and provincial level, preserving of produce and freezer facilities. As in the agrarian sector, we will also target the fisheries sector for improvement. 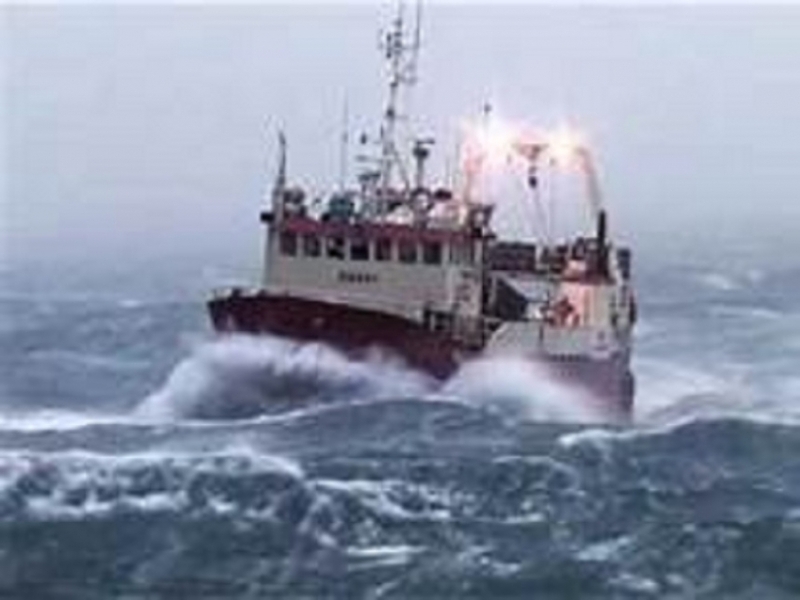 New technology will be used to maximize fishing capabilities while the Fisheries Ministry will co-ordinate with the Ministry of Primary Industries in this regard. Today, the tea and rubber plantations are facing many problems. As I said before, we have not been able to go beyond selling our produce in the world market. We must find new markets and for tea and rubber. We must enhance production efficiencies and add value to the produce to suit the new and changing needs of the global market. We will take the steps needed to bring this about. A Tea Industry Committee will be established to address all sectors of tea – it will provide solutions to the issues while reviewing modernization of the tea sector to suit changing times. We will also address the issues addressed by paddy farmers. We will review the issues that stemmed from a surplus in paddy. 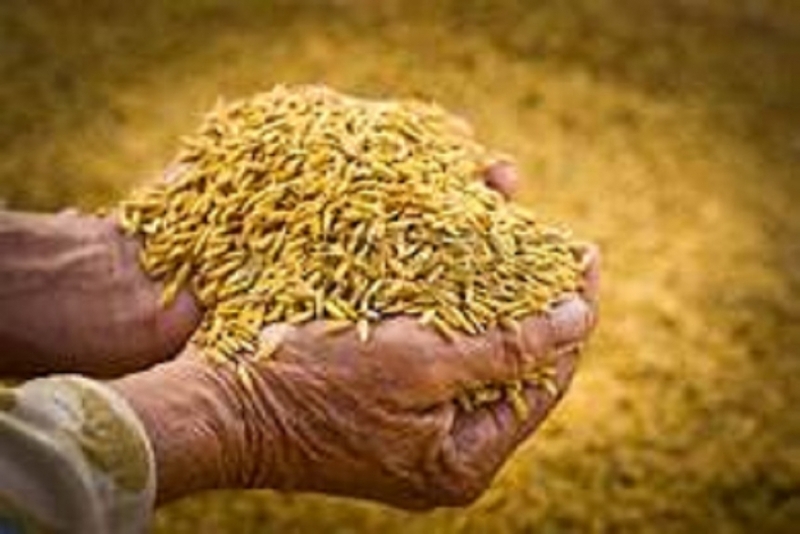 The process of government purchasing of paddy will be restructured while reviewing ways of utilizing productively the surplus of paddy. We will also introduce an agricultural insurance scheme. On one hand, most of the government owned land has been freely given away to friends and relatives. Accordingly, such ventures have not contributed in anyway towards the development of rural economies. The profits generated from such ventures do not reach the people either. On the other hand, the plantation companies stuck in the traditional mode of operations cannot bear the burden of rural economic development. This was one of the main reasons why plantation companies were restructured. We will also need to review if those who have been allocated large swathes of state land are making proper utilizing of such land. We will need to take certain decisions in this regard. Another key area of concern is land and land ownership. From time immemorial, a key strength among Sri Lankans was land and land ownership. In the past, the land and cultivated estates empowered the rural economy. But today, these lands have been sold as plots to build houses – this is having a negative impact on the environment as well as on the rural economy. We plan to put into a place a mechanism that will encourage and empower landowners investing in new technology and new farming methods. They will be assisted with land and the necessary capital benefits. Over 2.5 billion people occupy the stretch of land from the Indian Subcontinent and the SAARC region to South Asia. Of these, 25 million belong to the middle class - we seek to uplift our agricultural production in order to meet the food requirements of this group of people. We will provide assistance to Sri Lankans who would like to engage in large scale to small-scale agricultural pursuits with this goal in mind. All this will generate income and provide job opportunities, resulting in improved living standards and will trickle down to empower rural economies. The cornerstone of our medium term economic strategy is to generate employment and ensure an increase in income takes place. We will lay the groundwork to provide 01 million jobs within the next five years. In order to achieve these results, we have to encourage foreign investment and investment by individuals. We lag behind the other countries in the region when it comes to meeting investor requirements. As per the global competitive index, we are only ahead of Myanmar and Bangladesh in this regard. I am tabling the index at this time. This is why we need to occupy a better slot in the index than the current one and take steps to attract more and more investors. We need to connect local and global investors in Sri Lanka with new world business competencies. Today, value is added to production at a global level. The Global Value Chain manages the different raw material and competencies of different countries successfully. We will strive to connect local and global investors in Sri Lanka to this chain. We hope to take many steps in this regard. With the intermediate budget guidelines, we imposed a Super Gain Tax. This was based on the fact that the demand for goods and services was down. This tax served the purpose of propping up demand and providing relevant revenue. But now that has changed – people are once again actively making purchases and accordingly, we need not maintain the Super Gain Tax. We also need to revitalize under performing enterprises within the Under Utilized Assets Act and bring the necessary revisions. Many businesses were harassed using this Act blatantly while some were taken over. We will not engage in such activities. The Government will not take over private enterprises. We will also review the businesses taken over in this manner using the Act. The Constitution 14 ( g) states the following. Every citizen, as an individual or with others, has the right to engage in a lawful occupation, profession, industry or a business or in an entrepreneurship. Also, as per Article 157 , we are bound by the international agreements and norms concerning economic development. Based on these, we will offer protection for local and global investors and will give them the freedom to engage in business. We will put in place new laws to strengthen this process. We will also need to review the tax concessions given to investors. We must question whether we have achieved our objective with the tax concessions given so far. We need to re-evaluate these measures and bring them in line with changing times. We should ideally become a low tax regime. We will put into place an Investment Bill instead of the Development Methods Bill. With an objective of providing facilities for trade activities, we will also bring trade determining laws that will manage import export mechanisms in place of the import export bill. We will encourage investments that will generate employment. We will also takesteps to remove impediments facing such ventures. We understand the obstacles facing investors and businesses generating employment concerning obtaining of land and buildings. We will bring in new laws that will provide ownership of land to registered investors who meet the required criteria, without being affected by the Land Restriction and Alienation Act. We understand that some local businesses are operating with their own profits only in mind. While making profits, every enterprise should also provide a service to the people. Such ventures should fulfill public requirements. Accordingly, local entrepreneurs must now enter the global markets. We will set the stage for this to happen. We will help them enhance their productivity levels and develop competitiveness. To expand their businesses, they will be given tax benefits from 2016. Not only large scale but also we will encourage small and medium scale businesses and provide them with tax benefits. As we have seen successfully operational in Thailand, we will appoint a committee that will review the formation of a small and medium scale enterprise development organization. The committee will make recommendations to Parliament, which will then be made law. We must enlarge our markets. Towards this, we will look at entering into trade agreements with India and China. Through GSP concessions, we will be able to enter the EU markets as well. When reviewing the garment sector, we need to be able to carefully address the Trans-Pacific Partnership Agreement under which tax free garment export opportunities have been given to countries such as Vietnam. This has enabled them to engage in competitive markets and supply the American, Chinese and Japanese markets at low rates. This may also affect exports from Sri Lanka in the future. TPP must therefore be reviewed further. We hope to digitize the economy, improve our efficiency levels, join hands with the new and emerging world and put a stop to all corruption and irregularities. We will pay attention to the imbalance in development on a geographical basis while strengthening the development of resources in border areas. We hope to address these issues through an international viewpoint and improve our competencies. Among our strengths that will enable us to do well is the high level of literacy among Sri Lankans, their capabilities and our geographical positioning. We are geographically positioned close to Indian Ocean seafaring routes while also being able to service markets in Southeast Asia , the Middle East and East Africa through the Indian subcontinent. When we look at these areas, we see that Dubai and Singapore are doing well. There is no city between Dubai and Singapore that meets global standards of living in of financial, naval, air, transport and supply services. This is why the greater metropolis between Negombo and Bentota will experience a high level of economic activity, powered by global and local businesses that will have the opportunity to provide employment and the facilities needed to build and sustain an advanced level of living leisure. The basic plans for this are being drawn up by the Ministry in charge of Megapolis Development and Western Development. The revolutionary measures that will see the western sea- side metropolis transformed, will also trickle down into other areas. Providing services and supplies for this greater city plan will also result in an economic prosperity for the entire nation. In addition to this, we will establish 11 business and technology development areas through the island. Of these, we will commence work on Hambantota, Raigama, Trincomalee and Mahaoya by next year. We will also commence work on the information and agricultural technology zone in Kandy next year. We have also planned to commence work on specific financial and business areas throughout the country in a planned manner. Zones within 20 to 200 square miles will be developed in keeping with economic activity and social development. For an example, they will have schools, hospitals and highways. The first such zone created was Biyagama but nothing else happened beyond that. The Chinese Special Economic Zones are such large-scale ventures. We also have plans to create a special financial and a business hub in Colombo. We have not been able to make the best utilization of our tourist resources. We need to create a productive and result oriented tourism industry and not one driven by numbers alone. The tourists who visit Sri Lanka today only spend around 40- 50 US $ daily. We need to build a strategy that will seek to bring tourists who have the capacity to spend around 100-150 US $ daily. We also need to focus on encouraging the tourists to stay longer in the island. We have to market Sri Lanka as an attractive tourist hot spot. We need to put in place specific guidelines and intervention based strategy in place for the tourism sector. The upliftment of tourism through zonal development, attracting cultural tourists, religious tourists, environmental tourists etc must also be reviewed. We will focus on developing small tourists inns and encourage provincial businesses to make better use of opportunities, presented by tourism in their localities. Currently, the Southern Development Ministry is engaged in a programme that offers such guidance. We will also focus on developing the eastern and the southern provinces and also providing an efficient internal air service. Additionally, we will encourage air connections that will connect the north and the east efficiently to the rest of the country. We will also encourage endeavours that will strengthen the tourism sector. We will commence work on tourism zones such as the York Street, Sir Baron Jayatilleke Mawatha and Prince Street in Colombo and the Deduwa Tourism Zone from Bentota to Mirissa. Deduwa Corporation Ltd will handle the Deduwa Tourism Zone development work under the Ministry of Southern Development and will seek private sector funding for the purpose. Galle will be developed as a historic location with tourist attractions and preservation of the historic Galle Fort. We will transform the cultural triangle sites, the eastern province beaches, Nuwara Eliya, Badulla and up country sites as tourist attractions. The airport and the port must be developed. Every port and every airport must become profit yielding ventures. 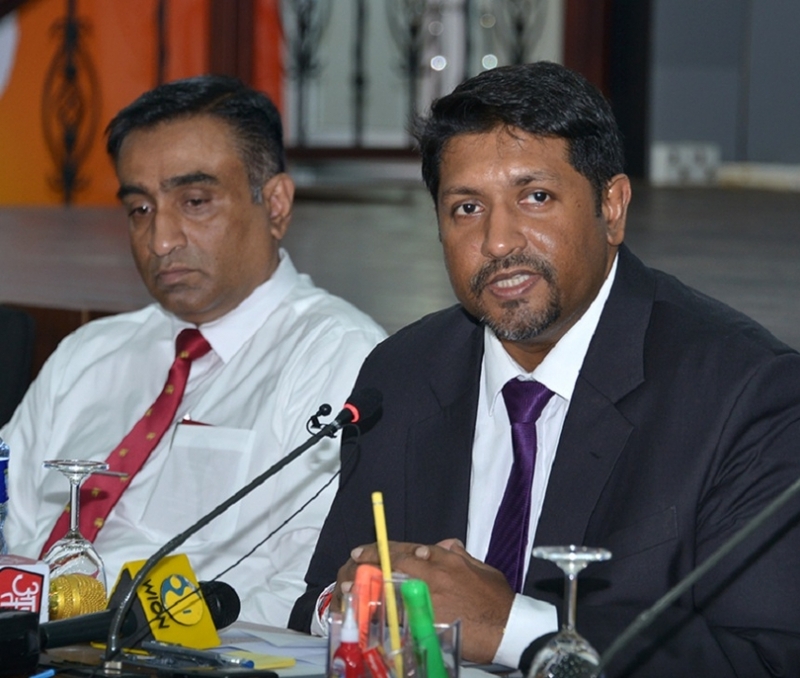 The Colombo Port and the Katunayake Airport will be developed. The Mattala Airport and the Hambantota Port, which have become white elephant ventures, will be transformed into profit making initiatives with changes and modifications. There are also plans to develop the Trincomalee Port and the city. We also plan to rebuild war affected areas in the North and the East – we have discussed with Japan the possibility of convening an aid summit in this regard in 2016. We are caught in a development gap because we do not have competent people. We must therefore take action to provide knowledge competencies needed. The Vocational Training Ministry and the Science, Technology and Research Ministry are coming together to develop plans that target providing professional skills needed. We hope to put in place sweeping changes that will see the education process overhauled and developed. In the past, we recited that what we learn will serve us in the future. But today, we must recite what we need to learn is what will serve us in the future. Accordingly, we will commence work on introducing knowledge mechanisms that will fulfill employment requirements and encourage participation in national development. We plan to increase the expenditure on education – this is imperative to increase the productivity of our highly literate population. We will encourage an education process that will go on for 13 years. Under a guideline established by Parliament, we plan to restrict the number of children in a classroom to 35. The schools will be provided facilities and access to the digital world that will bring the students together in their quest for knowledge. Our approach to the development of ICT will be in keeping with sound business management principles and will cover areas such as software development, innovation centres, ICT and science knowledge hubs, digital infrastructural services and support investment. We will provide ICT centres for innovation through which the young generation can access global opportunities. We will ensure that there will be tremendous opportunities within ICT in generating employment for 01 million people. We will take steps to provide laptops for university students on an interest free loan basis while also providing free wi fi zones for all universities. All universities will have internet facilities at special rates. There will be funding allocations made in this regard under budget allotments. We will establish techno-based campuses and vocational training institutes alongside the current universities. We hope to put in place a voucher system that will be tested – it will serve as a springboard for talented students from low-income categories to enter these techno campuses, vocational training institutes and private universities. We will ensure that there are adequate opportunities for vocational training outside Colombo. There will be a strict enforcement of standards of English teaching centres while we will encourage the teaching of English. We will encourage and provide facilities for organizations coming forward to teach English and provide vocational training. We will remove all taxes imposed on knowledge and talent – as a step in this direction, we will remove taxes on all books and the import of sports equipment. We are also reviewing the possibility of providing economic empowerment for women who have been ignored and left behind in the social structure for generations. We will take steps to uplift the income levels of all working women and working mothers. We will seek to ensure that women working at all levels of society will have the opportunity to enhance their level of income. We will also ensure that pregnant women are given due respect in society. We will implement a policy of ensuring that 25% of all political representation at provincial government level will be allocated to women. In future, from 2017 onwards, when making budget allocations, it will be based on identifying financial needs on a gender basis, enabling women to have better access to opportunities at all levels. The economy we plan to build must yield results for all. An economy that will promote the benefits of development among all. An economy that will be friendly to all, beneficial to all. An economy that will pave the way for sustainable development. What we are hoping for is a lawful economic environment that will set the stage for sustainable development. We will incorporate a sustainable development entity that will provide the necessary framework and initiate the needed mechanisms. The third generation of economic reforms envisioned by us as indicated here, is based on multi faceted economic mechanisms and the increase in trade development. Many qualified people prefer well paying jobs that are given based on professional capabilities. It is not viable to maintain a low paying production based economy. Accordingly, we need to look to sectors like ICT and tourism to generate employment opportunities in the short term. Increasing and enhancing our trained labour capacity is beneficial for us. Through it, we can also empower those engaged in foreign employment sectors to fulfill qualified and professional job requirements overseas. The first budget of our Government presented on the 20th will reflect the third generation economic reforms we have planned. I would like to point out that all signs that assure us we are on the right track are here. We have been invited to participate in the world famous World Economic Forum due to be held in Davos Switzerland in January 2016 with the participation of over 40 heads of state and 2500 economists. Before that, we will have an economic summit in Sri Lanka – the highlight of this will be participation of world famous author and investor George Soros. Additionally, the world famous Euromoney magazine will sponsor an economic summit in Sri Lanka in January 2016. All these activities will give Sri Lanka the opportunity to connect our economy with the world. As I have shared at the beginning, we need to make sure the golden era of prosperity that Sri Lanka had during the period from Manawamma to Maha Parakramabahu dawns again. We must enter the right path for this to happen, with accountability, patience and commitment. Only then can we create a better country for our future generations and lift our country to the rightful place it deserves. This is why we need to make use of this opportunity. It is a collective responsibility for us all. I invite all of you to join hands with us and bear responsibility in making this vision a reality. I would like to thank His Excellency the President, Ministers and all other officials and staff who helped me draft this.